Potentially bad weather combined with an outdoor food truck event can take any cool, confident event organizer and turn them into a nervous wreck. All it takes is one bad weather forecast to completely ruin your event. Months of planning and massive amounts of money can come down to a weather forecast (accurate or not). Below are a few simple suggestions that you can use into dealing with bad weather and your mobile food event. There are numerous websites which you can use to help forecast the weather for your upcoming event. If you complete the research early enough, you may have time to reschedule the event before you start placing deposits, submitting for permits or selling tickets. How a weather forecast is presented has a direct impact on people showing up to your food truck event. In the food truck industry if the weather forecaster says something like “It might rain this weekend” your event could lose thousands of dollars and even thought it could end up being sunny. Contact your local weather forecasters and let them know about your event. Ask them if they can stay away from depicting doom and gloom. I’m not suggesting you ask your local forecaster to be dishonest in their forecast. How the forecast is presented could have a huge impact on your food truck event turnout. Don’t let a forecast ruin all your planning and hard work. A damaging admission is a brutally honest conceit regarding your event. In the case of a food truck event, the weather could be your damaging admission. You’re far better off coming out and acknowledging the weather in relation to your event. “Yes, it might actually rain, so we’ve done this . . . ” The best place to address any weather concerns is right on your event web site. Below is a sample excerpt of a “damaging admission” related to the bad weather conditions and a food truck event. We cannot guarantee the weather . . . Please don’t rely on the weather forecast to help you make up your mind. In our experience “the forecast is usually wrong” for both good weather and bad. 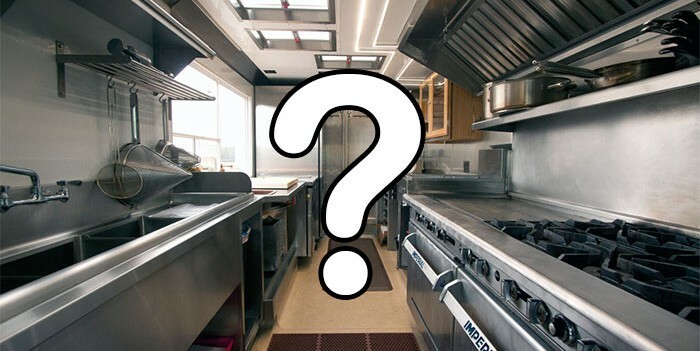 Your safety and the public’s safety is the number one concern of any food truck event. It’s important for you to know each truck has a plan to accommodate for various weather conditions, including rain. Unfortunately we aren’t in a position where we can offer refunds for weather. The food truck event will go on in rain or shine. The above admission won’t have any negative impact on advance ticket sales for the event. People will still purchase tickets, and they will be very appreciative that you acknowledged the weather right on the ticket page. If you have an outdoor food truck event, always acknowledge what happens IF the weather turns sour. 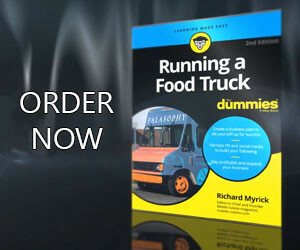 As a food truck owner, you’re in control of everything. From managing daily operations to mapping out your next menu item. You have to have a handle on everything related to your business. Unfortunately, there are always a few things that are totally out of your hands; like the weather. Bad weather is bound to strike in your area. If you’re not prepared for it, your business, you and your employees, are at risk. Whether it’s a torrential downpour, or a brutal heat wave, plan ahead when dealing with bad weather to protect your business and employees.